Another week come and gone and even some sun came out to make some beautiful moments on the bike! Here at Oxford term time has finished meaning our members have spread themselves all over the country, but that hasnâ€™t stopped us getting out on our bikes! From a cheeky ride crossing the severn to a massive midlands ride, our members are certainly enjoying a bit of time off! Racing wise we had another great weekend full of action. Saturday saw Angus heading to Newbury for the Newbury RC Club 10m TT, putting out a new pb for 10m, and fighting the headwind all the way home for his effort. Our Road Captain joined in the local Zappis club ride for a solid smash out and his first >100km ride this year, starting slow this year but big things to come for sure. While our President showed she is still one of the strongest women around by taking out a bunch sprint at MK Bowl to win the race. 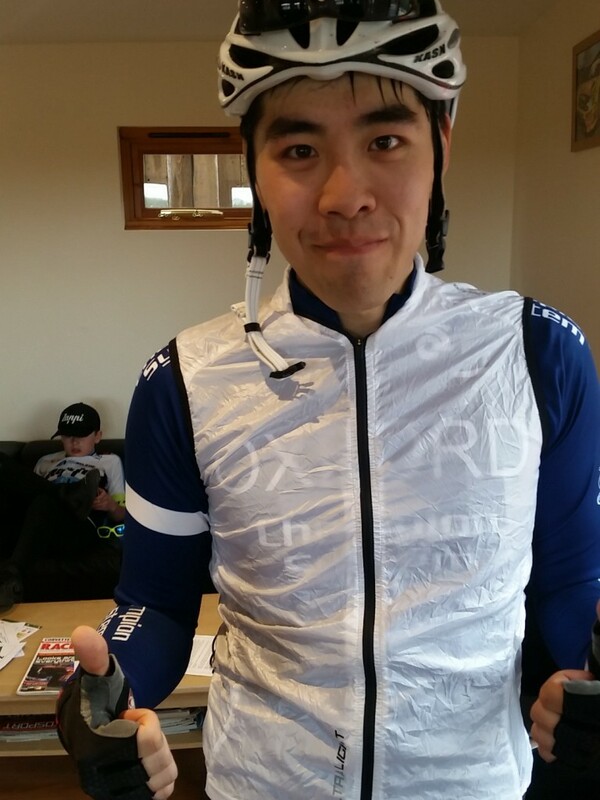 On Sunday, around Oxford we had Isaac, Angus, and Dan heading to Brill for the Oxonian Brill Hilly 17m TT. Some death defying descents tested the nerve, and the vicious climbs tested the lungs, but Dan showed he is on great form already this year despite having plenty of time off the bike, winning the event in a time of 41.20. Isaac showed that ridiculously strong legs can beat the best TT bike by coming second with a time of 42.40, the mountain biking background definitely helped on some of those descents. Angus just missed out on making it an all OUCC podium by coming in 4th in a time of 44.01. Sunday afternoon saw Angus and Joe heading up to Enstone for the very popular Zappis Crits at the Vision Motorsport circuit. Joe had been on overnight shifts all week, and Angus was tired from racing twice already this weekend, so they both had their excuses ready to go! The 4th cat race they were in stayed together until 5 laps to go when a break of two slipped off the front. Angus took out the bunch kick for third and Joe improved on his 9th last week with an 8th this week. On the other side of the country, Bryn was testing his mettle in a big open TT, the Chelmer Hardriders 25m TT. He held off his storming 27 minute man, the national TT champion Alex Dowsett, to finish 12th in a very competitive field. Massive effort and continuing his run of form as the dominant OUCC TT rider of 2016. The competition for a half blue, for the top three riders at the BUCS 25m TT, is hotting up and should be a nailbiter. Great effort from everyone racing, and everyone lucky enough to get out on their bike for an adventure during the week. As the sun comes out and the days get longer things will only get busier from here!! Keep an eye out on our twitter, facebook, and instagram accounts for more juicy tidbits! Until next time.